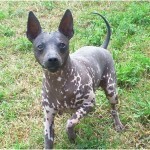 The American Hairless terrier is a small-sized terrier breed of dog sometimes resemble like Rat Terrier. 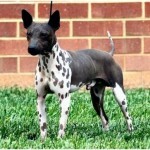 It is originated in the United States of America and is said to be one of the rare dog breeds. 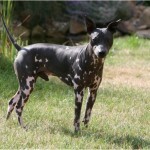 The American Hairless Terrier also known with the nick name AHT. The AHT is said to be small to medium sized terrier. The temperament of the dog is said to be energetic, intelligent, alert and curious. It takes time to be friends with cats. This dog needs time to make other dogs as friends. This dog can be trained easily in the puppy stage and it becomes obedient to the owners in a short time. 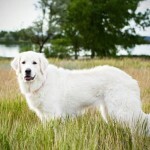 The hypoallergenic characteristic is not known for this dog but yet this dog is said to be good for allergy sufferers. The price range of this dog is in between $300 to $600. This dog will be a good companion for humans and likes to stay with the owners all the time. 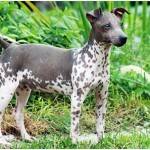 The American hairless terrier is a small sized well-built dog which stands on strong legs. It has erected v-shaped ears and a long tail. It is considered as the working breed and the accepted colors of the eyes are blue, brown, grey, amber and turquoise. 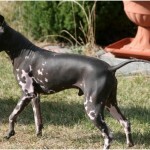 Generally, the hairless dog can be seen in any color like black, blue, brown, pink etc. 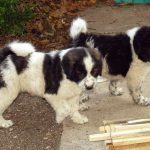 The small puppies will have little hair on the body which will be gone as early as in six weeks and become hairless dog. 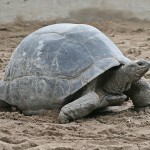 The height of this dog is said to be 7–18 inches (18–45.7 cm) while the dog weighs about 7–25 lb (2.5–12 kg). 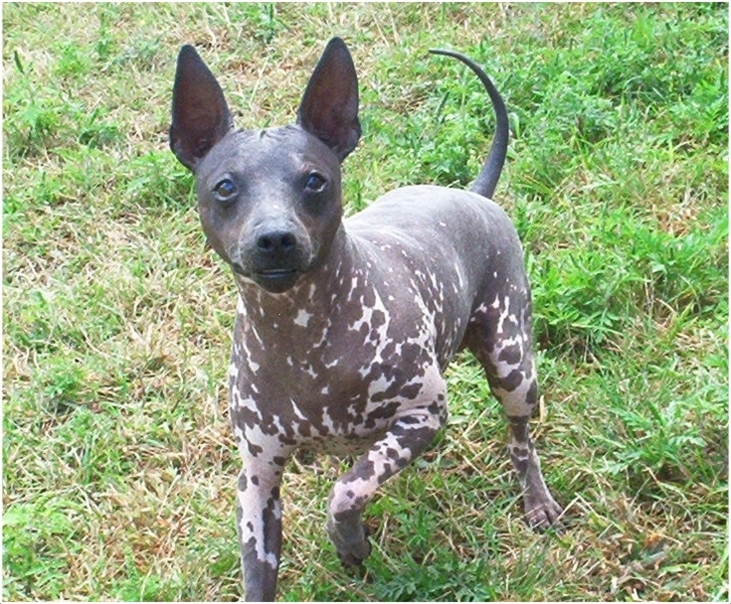 The American Hairless terrier dog is said to be intelligent, alert, playful and energetic.It has strong hunting instincts and due to hairlessness it can harm itself while hunting. It should be supervised whenever it is around water as it is not a good swimmer. 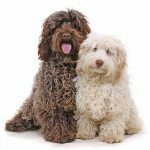 It plays well with the children and is very active and energetic breed. 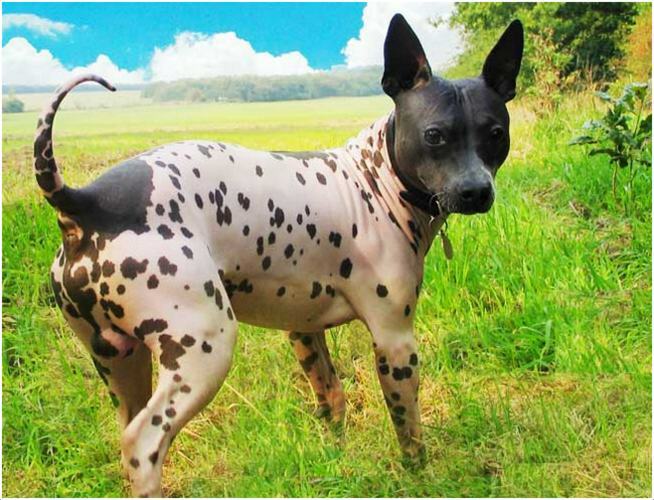 Generally, the American Hairless Terrier dogs are healthy but due to their hairlessness it may prone to heat problems on skin.It should be protected from the sun and apply the sunscreen whenever required. It may also prone to few other allergies. The extra care should be taken for the skin of the dog to keep it fit and healthy. The diet requirements for this dog are not so special, but always maintain the quality food and milk for the dog. Always keep the surroundings clean near the food zone and make sure to prepare a food schedule for the dog so as to avoid the over feeding. The apartment conditions will be okay for this dog but the owners should meet the exercise requirements of the dog. A house with medium-sized yard will do well for this dog as it likes to run and play all the time. It should be taken care in the extremely hot and cold temperatures. It needs daily little walks and limited exercise to be fit and healthy. Make sure to supervise the dog whenever it is out for walking and never let it run away from you. It likes to play well and keeps on entertaining the owners. It will soon adaptable for the home environment and it is moderately active indoors. 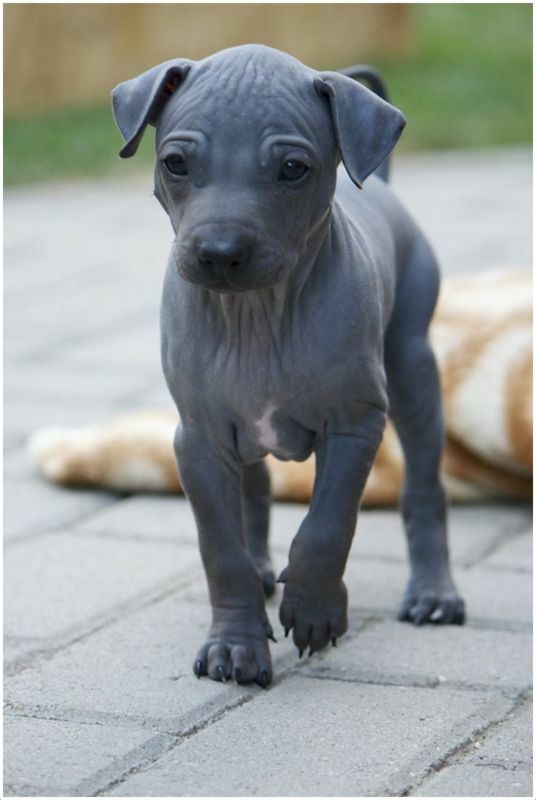 The American Hairless Terrier dog can give birth to an average of 2 to 4 puppies. 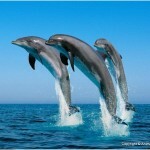 It will become reproductive in a moderate age and special care should be taken at the time of pregnancy. Maintain the healthy food and give it a limited exercise. As this dog wants to play most of the times in the yard, it should be protected from the other big animals which can harm this dog. This dog can manage itself as it has hunting instincts in its blood but owners should always take care of the dog when it is near big animals. 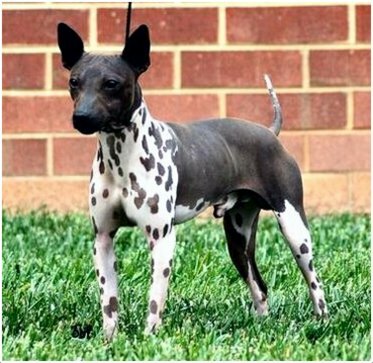 Breeding for this dog should be done upon attaining a proper age and it should be done by the professional. The dog will give birth to healthy puppies if proper care is taken. Raise the small puppies with care until they can manage themselves. 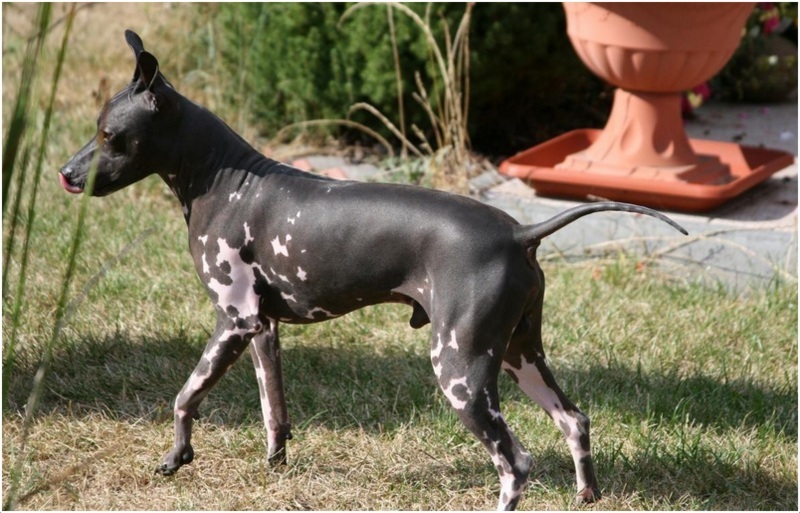 If the hairless dog is bred with other hairless dog, it may result in hairless puppies and when the hairless dog is bred with coated variety then the result will vary and depends on the dog. 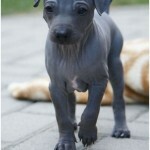 On an average, the American Hairless Terrier lifespan is said to be 12 to 14 years. But there are dogs which lived up to 16 years. So, if the owners raise the dog with proper care and good diet, then it can increase the life-expectancy of the dog. 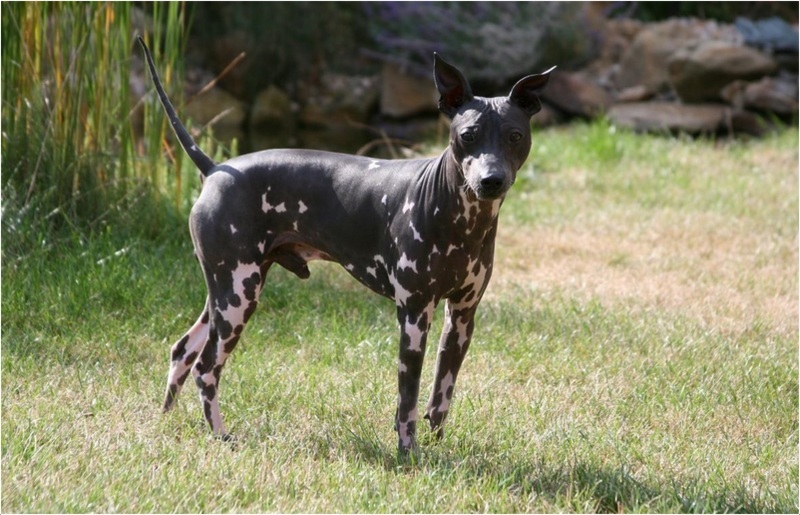 The American Hairless Terrier dog should be bathed twice a week to keep it clean and fresh. The skin of the dog should be protected from the sun and also from the cold weather. Apply the lotion to the skin whenever required and take the advice of the vet on using the lotion. Trim the nails of the dog regularly and also check and clean its ears to avoid any ear infections. 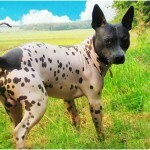 The American hairless terrier dog doesn’t shed due to hairlessness and so regular grooming will be sufficient for the dog.